VANCOUVER (miningweekly.com) – This year marks ten years since the start of the global financial crisis in 2007, an event that shook global markets to the core and precipitated a changed market landscape for many commodities, including diamonds. With this in mind, independent diamond industry analyst and consultant Paul Zimnisky has published a new blow-by-blow report chronicling the industry rise and fall, and the volatility the crisis has induced in the global market for these precious gems. “This year marks ten years since the onset of the global financial crisis. In 2007, the first signs of a collapsing sub-prime mortgage bubble in the US were seen, although rough diamond prices were not impacted until the fall of 2008, just shortly after achieving record high prices in summer 2008,” Zimnisky stated in a news release sent to Creamer Media’s Mining Weekly Online. Over the last decade, the diamond industry has been battered by historically high volatility. 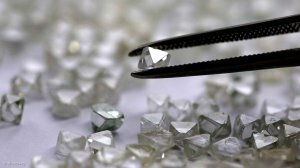 A surge in demand for diamonds from the economic and social liberation in China, along with other emerging economies that consequentially benefited, followed with overt speculation by industry players that left the industry oversupplied when the growth tempered, the analyst explained. Consequently, banks lending to the industry reined in liquidity, some leaving the business altogether, further exacerbating the situation. The upstream segment of the industry responded by curtailing supply, reducing prices, implementing a marketing campaign and increasing transparency, attempting to restore profitability and confidence to its customers and their lenders. The proactive response by the miners showed signs of success as industrywide inventories returned to more normal levels and supply/demand balanced. However, just as the recovery was under way, India demonetised its highest denomination bank notes, directly impacting the largest base of manufacturers in the industry. “Today the diamond industry continues to navigate internal challenges, such as the advancement of lab-created alternatives, with an arguably more challenging structural backdrop of generational shifts in consumer preferences. However, the inherent allure of diamonds has existed for centuries, and the resilient diamond industry has an impressive track record of survival,” said Zimnisky. Zimnisky disclosed a long position in Lucara Diamond Corp, Stornoway Diamond Corp, Mountain Province Diamonds, Kennady Diamonds, and a covered-call position in Signet Jewellers.